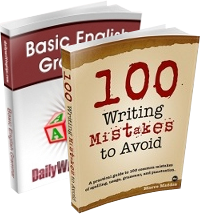 Writers frequently err in producing in-line lists (those incorporated into a sentence, rather than presented vertically) whose items do not correspond grammatically. Here are three sample sentences, along with corrections. Each of the three list items in this sentence includes at least one verb, but that consistency does not guarantee parallel structure. 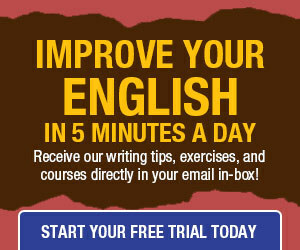 The first item’s verb phrase includes “is . . . set,” and the third one’s verb, reflects, stands on its own (if the item were required to contain a form of “to be,” the sentence could be revised to include the verb phrase “is no longer reflective of”), but the middle item needs a helping verb — in this case, to match the first item, is: “If a work is no longer set in Japan, is no longer written by Japanese authors or penned by Japanese artists, and no longer reflects Japanese cultural idioms, is it still manga? Here, a verb is missing from one element of the sentence, but noun and pronoun use is also inconsistent: “People who have experienced abuse, have been victims of a crime or catastrophe, or have lived through war and/or genocide can experience PTSD.” Alternatively, elements can be combined; here, the first two are joined, and the third one, already in combination, has been framed in commas to set it off from the rest of the sentence: “People who have experienced abuse or have been victims of a crime or catastrophe, or people who have lived through war and/or genocide, can experience PTSD. This sentence’s flaw is the lack not of a verb but of a preposition in each element. Generally, a single preposition could serve all three elements, but because a website is a conduit, not a location, for obtaining the products (unlike as in the case of information or media, which can be obtained at a website), each element requires its own preposition: “The products are available at Bed Bath & Beyond stores, at the Container Store, or through the company’s website. Violating the principles of parallel syntax is SO, SO common nowadays! This is so common that it isn’t even funny. That is particularly true among those people who have NEVER diagrammed sentences in school. Indeed, there are some loony educators who claim that diagramming sentences only makes elementary school pupils better at diagramming sentences. How fallacious that idea is! People like me diagram sentences on our “mental chalkboards” to get the sentences right. By the way, I mentioned the “comma splice” to one of my contemporaries – a schoolmate in both high school and college – and he replied “WTF is that?” I was stunned. It is true that we went to elementary schools in completely different towns, and then to different junior high schools in the same city. Still, how did he miss out on the evils of comma splices? By the way, in ENGLISH prose and poetry, the single-digit numbers from zero through nine are to be written out as words, and not as Arabic numerals. This is specified in numberous guidebooks in writing English, and this rule is for good reasons, too. Hence, the title of this article shoucl be “Three Problems of Parallel Syntax”. I am amazed that Mr. Mark Nichol does not know this. Styling numbers in prose is more complex and flexible than is dreamt of in your philosophy. Numerals are often used in display type (headlines, subheads, and so on) because they pop out at readers. I greatly enjoy receiving your daily posts. I’ve been a journalist, writer and editor all my professional life and DWT keeps me inspired, even if I don’t always agree with you (rarely, though). I haven’t written before but the ‘3 problems of parallel syntax’ post has raised questions I’d like to discuss. Neither of these is a particularly good replacement for the flawed original. I think that’s because there’s another underlying problem in the original, and that’s the use of ‘no longer’ with a singular group noun (‘a work’) – ‘ a work’ that is no longer set in Japan or written by a Japanese author must logically once have been set in Japan and written by a Japanese author, which is a nonsense concept, but starts to get the subconscious mind concentrating on the nonsense, rather than on the written words (ie, you’re losing the reader). In this example, I am only interested in the use of the ‘or’ after the comma (‘or people). I have a similar comment about the ‘or’ in this example. The products are available from three sources, 1, 2 AND 3. Using ‘or’ in this construction could be ambiguous for some readers, leaving them thinking that the writer is not sure which outlet stocks the product, but confident that one does. Of course, common sense on the reader’s part should overcome the implicit ambiguity created by the author. On the other hand, the buyer is likely to buy from only one source, the first, the second OR the third, so the writer would be correct in writing that ‘you could purchase the product from A, B or C’. Buyers are unlikely to purchase the product from all three outlets. As originally written, the ad writer has confused product availability with buyers’ options. Thanks very much for the opportunity to comment and apologies for taking the discussion off subject.